ride an e-bike it is easy to see why. s cheesy and cliché as it may sound, Electric bikes can be considered as a genuine, life transforming product. Not only will your lifestyle become more active with regular use, but you will also benefit from a fun, sustainable and cost effective transport option. Forme Bikes are a British Bicycle brand, established in 2010. Every Bicycle is designed with our Formed By The UK philosophy in mind to provide uncompromised fun and function in all conditions. Real world testing in what can often only be described as challenging conditions ensures our bikes are stacked full of performance, comfort and practical features that can adapt to all the seasonal challenges of British cycling. Formed By The UK stands for the highest possible standards in quality, design and build to deliver consistent performance every single day, whatever your ride throws at you. 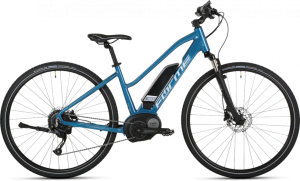 Forme Bikes are owned by British Distributor, Moore Large & Co Ltd. Based in Derby and established for over 40 years we offer direct back up and support for added reassurance. 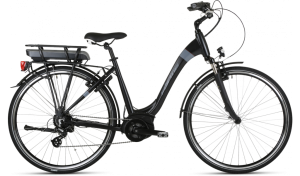 Furthermore we only work with the highest quality and most respected E-bike system manufacturers, Bosch and Bafang. 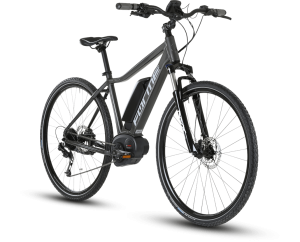 Our network of dealers across the UK will offer you the ability to test ride any of our e-bikes and will support you with a full pre-delivery inspection and post purchase service schedule. We are so confident in the reliability and quality of our bikes that we offer a limited lifetime warranty across all of our framesets (subject to terms & conditions). Following the purchase of your bicycle, please complete our online Bicycle Registration form to extend the standard 2 year guarantee to limited lifetime.